It’s a sign of how seriously Chris Arreola has taken tonight’s fight with unbeaten but somewhat unknown, and untested, Jean Pierre Augustin (17-0-1 with 12 KO), that he tipped the scale at a low (for him) 239 pounds. Arreola, at age 38 very much accepting of the fact that time is not on his side, that this is his last chance to make it to the top – to leave a legacy, as Arreola says himself – has reportedly trained as hard as can be for tonight’s fight. The knock on Arreola so many times was how he had not knuckled down in training, and the criticism aimed at him for coming in at something like 251 or more was justified. But not this time. “The Nightmare” has worked, he is light (for him; Arreola is, it must not be forgotten, a big guy) and he is ready. But has the man from Riverside still got it in him to both make boxing history as the first ever Mexican/American to hold a world heavyweight title and to leave a legacy behind? Arreola has has his share of setbacks and he has been stopped three times, a couple of times quite nastily. Yet on his best nights, Arreola has beaten some good fighters. 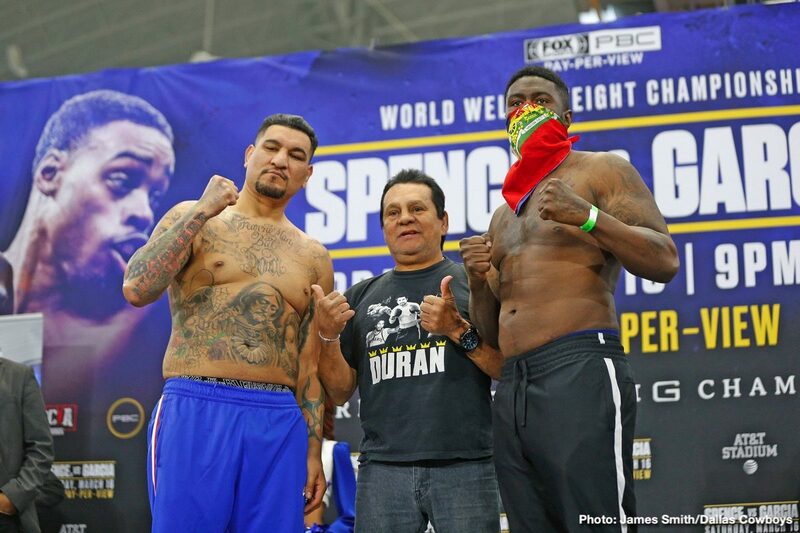 Plenty of heavyweights have matured and won big fights later on, at or around the age Arreola is at now, so it is possible the 37-5-1(32) contender could do the same. If he wins tonight and, crucially, looks good, there could be some good fights out there for Arreola. With all three world heavyweight champs fighting on separate networks and not looking as though they (Wilder/Fury/Joshua) will fight each other any time soon, colourful guys like Arreola could be in luck and get themselves a shot. In the heavyweight division it only takes one good win, one impressive KO and, bang, a fighter is smack bang in the thick if things. And Arreola has said he does not want to go out of the sport being largely remembered for his 2017 loss to Wilder. It’s now up to Arreola to string together a win or three that makes fans forget the past and talk about his future. Tonight’s fight, set for the under-card of the big (and massively talked about) Errol Spence-Mikey Garcia clash, could prove to be well worth watching. Next boxing news: Errol Spence Jr. vs Mikey Garcia – Keys to Victory, Four to Explore, Official Prediction!